Wallymeets produces dual language picture books, bilingual e-books, audio books, and animations for children between 3 to 5 years old. All kids books are dual language and each bilingual kids book comes with two audio books to help children and their parents learning a second language. Meet Wally the whale, the world’s most educated whale. Wally or short Wally, first saw the light in 2001. Wally is a sweet, impatient, curious and exploring little whale who is small for a whale but big for a fish. His friends and teachers are all much smaller than he is. Still, new unknown animals, although much smaller than him, can frighten Wally, and then Wally needs comforting by his mum or dad. Impatient Wally finds himself lost, or in dangerous situations, but is always saved by his parents and friends. In 2008 Isgar Bos set up his own publishing company – Wallymeets – dedicated to language learning. His first dual language book on the list was Wally meets Picasso. The Wallymeets press list now includes 3 titles in English and one of the following second languages: Chinese, Korean, Spanish, Catalan, Japanese, Dutch and German and our first Braille edition in under construction. Wallymeets works in close collaboration with educational experts and wants to help parents and children to playfully learn a second language. Language learning through dual language picture books in combination with talking books is a very efficient and economic way to teach a child a second language. Isgar Bos, born in Amsterdam 1972, started writing and publishing children books to rediscover timeless exploration and step out of the fast life where one can easily become blind to the many small marvels of existence. Isgar’s travels, as an airport designer and avid sailor, have enabled him to understand that while children around the world may have superficial differences, they are all united by curiosity and wonder. 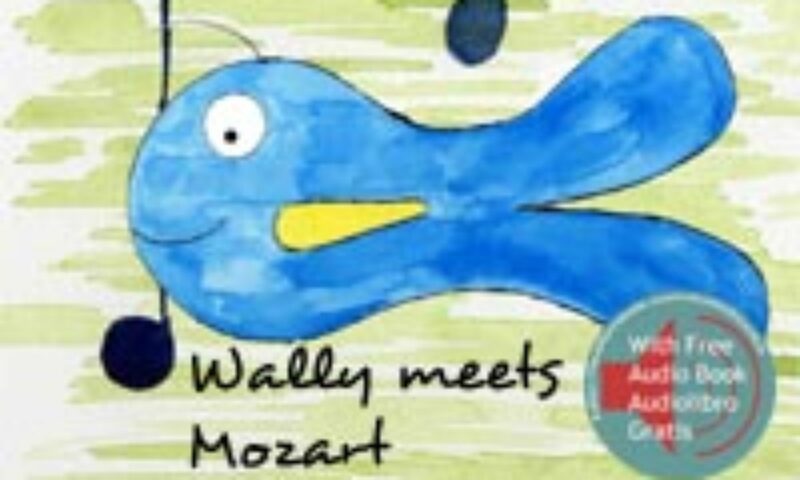 Isgar created Wally, a very young whale, to share positive and innocent awe about the world with children everywhere.